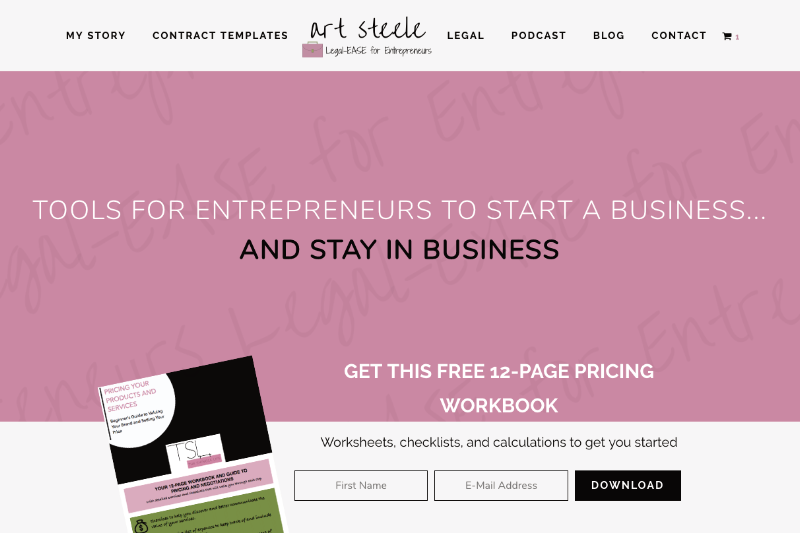 Looking for legal advice and contract templates? Art runs an excellent podcast discussing all aspects of running your creative or small business. Art started out on Wix but soon found the platform too limited to grow. We transferred the site to a self-hosted WordPress site, setting up an e-commerce store as well as an email marketing setup with Drip. The project also included creating a new logo since the brand evolved from The Shingle Life to a namesake/identity brand – Art Steele. Since then, Art has been able to fully utilize her website to grow her business, selling more and more digital products, integrating her site and marketing solutions, and automating.